The history of Aborigines in Van Diemen’s Land is long. The first Tasmanians lived in isolation for as many as 300 generations after the flooding of Bass Strait. Their struggle against almost insurmountable odds is one worthy of respect and admiration, not to mention serious attention. This broad-ranging book is a comprehensive and critical account of that epic survival up to the present day.Starting from antiquity, the book examines the devastating arrival of Europeans and subsequent colonisation, warfare and exile. 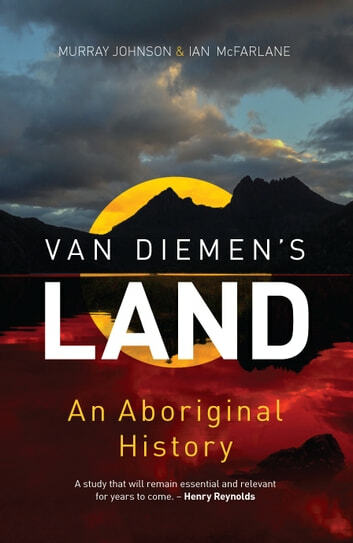 It emphasises the regionalism and separateness, a consistent feature of Aboriginal life since time immemorial that has led to the distinct identities we see in the present, including the unique place of the islanders of Bass Strait.Carefully researched, using the findings of archaeologists and extensive documentary evidence, some only recently uncovered, this important book fills a long-time gap in Tasmanian history.